Humans have always felt the necessity of keeping a member of different species, other than their own in their houses. They love to share their space with them, both residential and emotional. The animal kingdom also has been divided in such a way that some animals prefer to spend their lifetime in the wild jungle and some prefer to share their living with the humans. Less ferocious and timid at the same time, loving dogs and cats share our neighborhood. In a neighborhood also various kinds of people reside, some extremely in love with the four legged animals and some show their unnecessary anger on them, try to hurt them in different ways. There is also another section of people who can’t imagine their home without a dog or a cat. However those people must be aware of the nuances of the pet care. Pet dogs turn out to be man’s best friends. They shower unconditional love and affection on you. They just become happy with your presence; probably they don’t want anything more. But you as a responsible owner should give your dog proper attention, providing it with proper pet food. It’s better to prepare their food separately, than to give them your leftovers. The food cooked for humans often contain spices and oil, which are not suitable for them at all. It causes digestive problems to them along with other problems. It is to be remembered their digestive system is not like us. Another thing that is utmost important to them is their flea treatment. Different kinds of fleas grow and breed on their body. It is important to have a regular checking on their body surface. Various shampoos and powder are available on the market; these can be used for their treatment. It’s also important to groom and train your pet so that the pet does not become the source of your trouble. However pet grooming should be done in an intelligent manner, your grooming process shouldn’t hurt your pet’s feeling. They should be full of life and emotion always. You obviously don’t want a robot in the mask of a dog. But the basic grooming is definitely important. Many owners use a dog harness to train their dogs. It is a good idea, but you should be careful while buying them. You can get a plethora of them in any shop that sell plastic dog kennels. You have to make a selection among them keeping in mind the size and breed of your dog. Your dog’s comfort factor should be your priority. Like dogs, cats also become man’s companion, your friend for life time. The nature of the two pets is completely different. 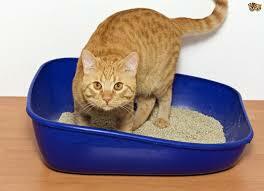 For the protection and safety of your cat, you should take proper measure, like cat worming. Roundworms and hookworms develop on their bodies, it is important to redeem the cats of the worms. These worms at times can harm human also. So they need proper medicinal treatment from a doctor. Leaving that negative side, the kitten is really playful. They can light up your home with joy and fun. You can provide them with toys for cats; these are easily available in any shop that sells pet accessories. How To Help Your Pet Adjust To Their New Home?